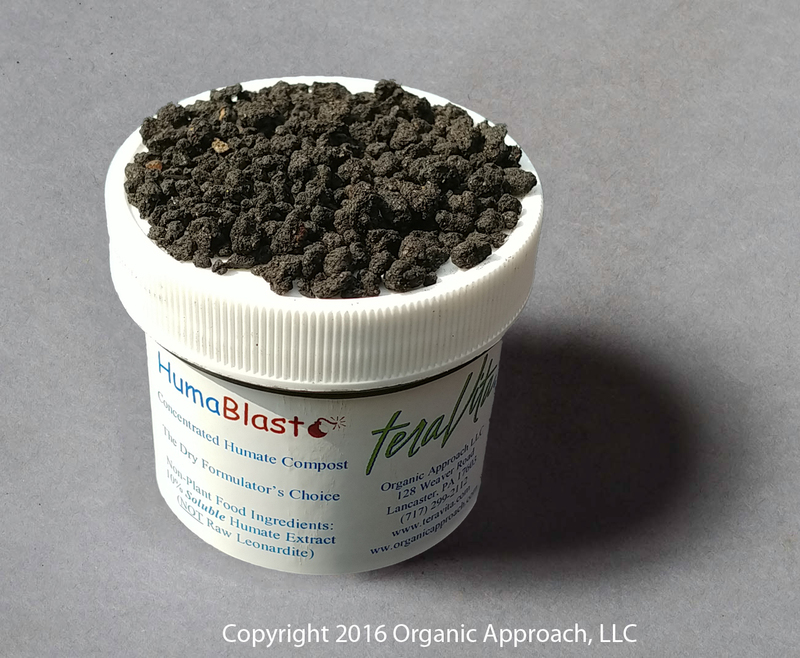 TeraVita HumaBlast is a granulated humate compost additive developed for formulators looking to dry-blend soluble humates into their products. HumaBlast is derived from fully composted poultry manure that is blended with 10% soluble humate by weight and then granulated for ease of use. The poultry compost is fully digested and contains no foul odors. It averages a 1-1.5-0.4 analysis and contains 3% Ca. The HumaBlast combination is ideal for those looking to add humic acids to their granular blends, and has the added benefit of providing valuable organic matter as well. The 10% humate inclusion allows for a large array of final usage rates by formulators and ensures that adequate particle coverage is achieved by end-users such that the proper results are achieved.